Farewell To "The Perfect Man"
At the turn of the century the British were spreading like a plague upon the face of the earth. They brought development at the cost of the native peoples they colonized. Like the barbarians that overran Rome, the British came in waves as they fanned out to the four corners of the planet. This strategy of taking anything that didn't have a European flag planted in it (and at times even then) allowed the Brits to slaughter the indigenous tribes just like the Spaniards in South America. Taking anything they wanted while exploiting the people they claimed to be making civilized. What had been done to the Americas for two centuries prior was now being done to India and Southeast Asia. The Europeans who had come before them were somehow made to look like saints as the British killed anything that would not fall in line. And when the locals outnumbered the invaders, Britain simply exploited local feuds to pit neighbor against neighbor... after all, it worked in America. Upon first contact with the British the Onge, "En-iregale" in their own tongue (meaning perfect man), had numbered around 670 people. 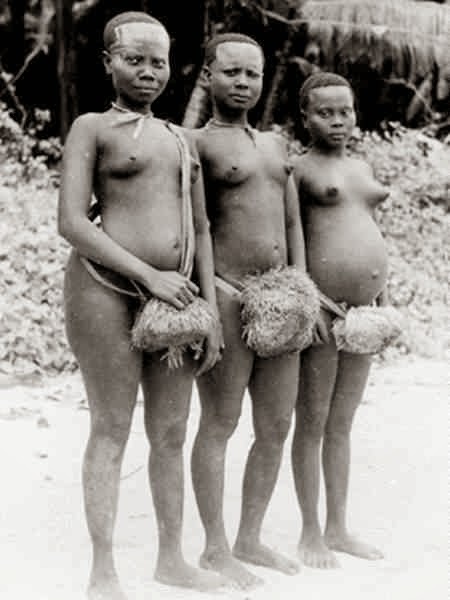 They were united and had a strong culture built upon centuries of living amongst the Andamanese islands. They were in tune with the cycles of the sea so much so that all 96 Onge members survived the 2004 tsunami by retreating to the highlands. They had a sustainable way of life that included hunting and fishing along with gathering of plants and edible roots. Today the Onge people have just under 100 surviving members. They are confined to a tiny portion of their native lands in Indian built houses that are at best poorly built and rarely maintained. Disease and social ailments introduced by the British and Indians have left the Onge struggling to survive. Their hunting grounds are often kept off limits to them while poachers encroach upon their tiny scrap of land. The semi-nomadic practices they had once enjoyed as a society are now almost all but gone. Some of the most humiliating results of their forced settlement (during the 1970's) has been the denial of their rights to hunt upon their own lands by the Indian government. Culturally it has always been traditional that an Onge man has not been allowed to marry until he has killed a wild boar. Now, with the persistent problem of poachers, the Onge men face humiliation or the need to break Indian imposed laws to culturally be accepted as a man. For the women the settlement has meant being unable to provide for their children in the same ways their ancestors had. This has led to several issues including malnutrition amongst the Onge children. When the men are unable to hunt pigs or sea turtles the women are needed to gather food. But this has been increasingly difficult since large parts of the island are off limits to the Onge due to the Indian governments neglect of them. Food has always been important to people. What we eat not only provides us nourishment but provides a mental link for us to remember people and places we grew up with. In the West we often call this "soul food". For the Onge people this comfort has been deprived to them by the British initially and currently the Indian government. The foods that their ancestors had taught them to survive off, to love, are now difficult for the Onge to obtain. Classic comfort foods for them are quickly becoming a memory. All of these elements contribute strongly to the possibility of extinction for the Onge people rather plausible. Though the birth rate is often cited as improving amongst the Onge people the fact is that it is miserably low (drastically when compared to the rest of India). Then when coupled with an extremely unacceptably high infant mortality rate, the Onge people's hopes for survival are placed in doubt. This is only further exacerbated by the gender ratio is horrifically imbalanced (in 2006 there were 12 boys under 5 years old verses only six girls). So now that over 100 years has passed since the Onge first met the rest of the world we are facing a point where we might just have to say farewell to "the perfect man". It is a sad reality that the world has allowed a people, of which we know so little about, to vanish from the face of the planet without a single tear, a word of remorse, or a goodbye. In 2012 the world's citizens donated just over 90 million to World Wildlife Fund to help save animals from extinction. From their own pockets, these caring individuals sacrificed a small portion of their money to a cause that they cared deeply about (or at least enough to donate towards). Some may have been donating to the cause of saving polar bears, or pandas, or even the black rhinoceros. Others may have simply donated to help save animals in general. But what would they have donated had they been donating to UNICEF or other organization helping to save the Onge people from extinction? Are human lives not worth more than that of a bear or elephant? There are around 25,000 Asian Elephants alive in the world today. There are around 2,500 Bengal Tigers alive in the world today. There are around 1,600 Giant Pandas alive in the world today. Yet there are less than 100 Onge people still clinging to existence. It shouldn't be difficult for people to realize that something in this comparison doesn't add up. We aren't comparing these people to animals in any way other than how the outside world views them. They were exploited for a century and kept out of sight when the world found it indecent to abuse them any further. All the while the Indian government has taken from them everything it has wanted while pushing them further towards oblivion with each passing year. The main reason for this comparison is that of our own guilt in allowing the Onge people to perish. While we worry about tigers (allotted 15,818 sq miles of reserves in India) the Onge people are confined to 1/3 of their native lands. While we worry about the extinction of elephants in Asia the Onge people tiptoe toward their own extinction. And all the while we ignore the plight of our fellow man. During January of 2012 we watched as the last Bo tribal member died. His final gift to the world was a sad and lonely song. In his words he spoke of watch the last great tree fall with a deafening crashing sound. One can only imagine that he was that tree and his voice was that final scream to a world too deaf to hear his peoples' pleas. What will we do when the last Onge person passes away before our eyes? Will we wait to hear yet another sad song? Or will we scream before that day comes? Want to learn more about this issue or contact the author?